Walker is a member of the firm’s litigation practice group with a focus on worker’s compensation defense and labor and employment law. Prior to joining Weld Riley, S.C., Walker practiced in the Milwaukee area for a boutique worker’s compensation defense firm. In that role, he worked directly with corporations and individuals on defending corporate interests. Previous to private practice, Walker served as corporate counsel for a Fortune 100 company located in the Midwest. In his role as corporate counsel, he also practiced in the areas of worker’s compensation defense and labor and employment. Walker earned his undergraduate degree from the University of Wisconsin-Milwaukee and his law degree from Western New England University School of Law. 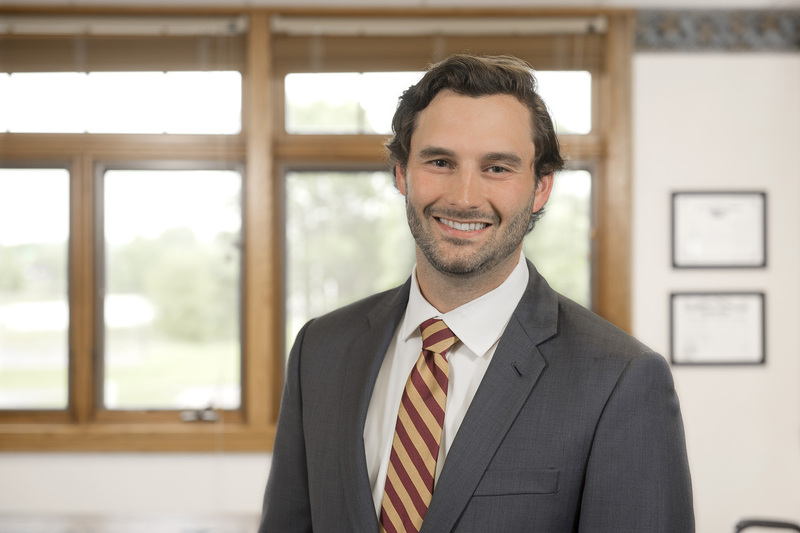 While at the University of Wisconsin-Milwaukee, Walker was a three-year team captain for the mock trial, moot court, and mediation teams; he earned several awards, including a National Championship. Walker continued competing in law school, where he was part of the school’s trial team and selection committee. Walker is a member of the American Bar Association, the Wisconsin Bar Association, the Eau Claire Country Bar Association, the Milwaukee County Bar Associations, Phi Alpha Delta, Wisconsin Association of Worker’s Compensation Attorneys, Chippewa Valley Symphony Board of Directors, and a Young Professionals of the Chippewa Valley. Walker continues to be active in the mock trial community. He assisted the University of Wisconsin-Milwaukee mock trial team, as well as judged several high school and collegiate mock trial competitions. A native of Fall Creek, Walker enjoys all the Chippewa Valley has to offer; he spends his free time sailing, camping, and golfing.